I remember years ago people said nothing ever changes in Anamoose. That definitely doesn’t apply to Anamoose now, although most of the changes are not earth-shaking. I drove around Anamoose yesterday and took pictures of the changes that I know of. 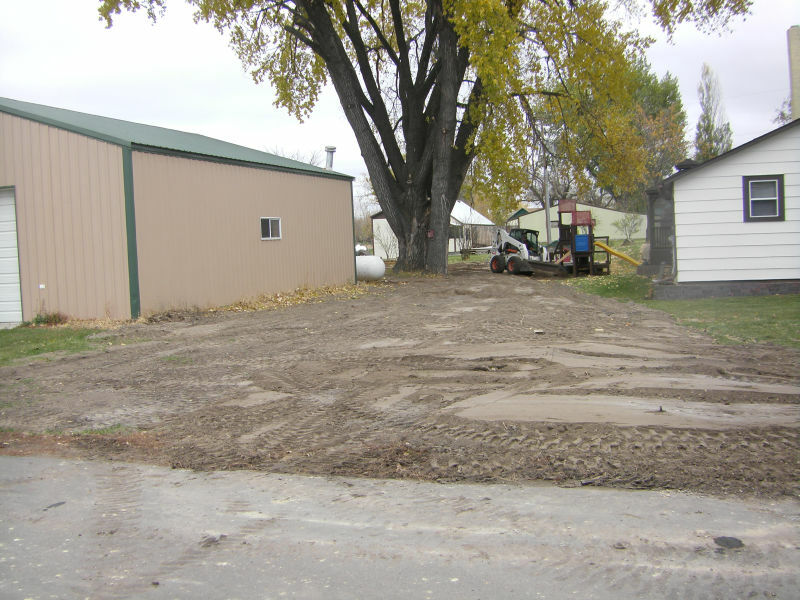 Mark and Corine Engen moved into their new home and are getting a new garage and steps. 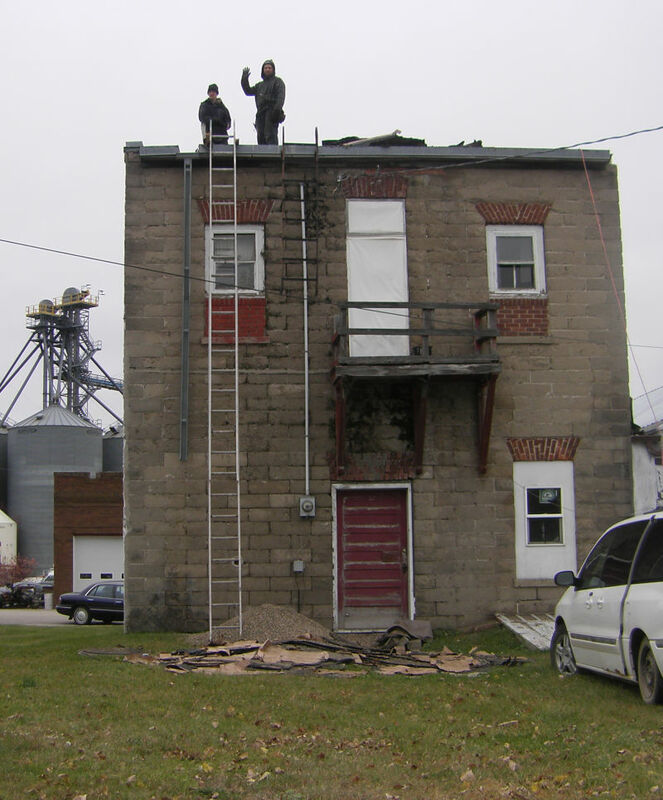 A new roof is going on the old Sally’s Upholstery building that Mirek and Julia Petrovic have purchased for a Food Hub. People are remarking on this neat new sign on the fence north of the school. This was an idea of Pat Windish, Anamoose school principal. His family put it up. up. 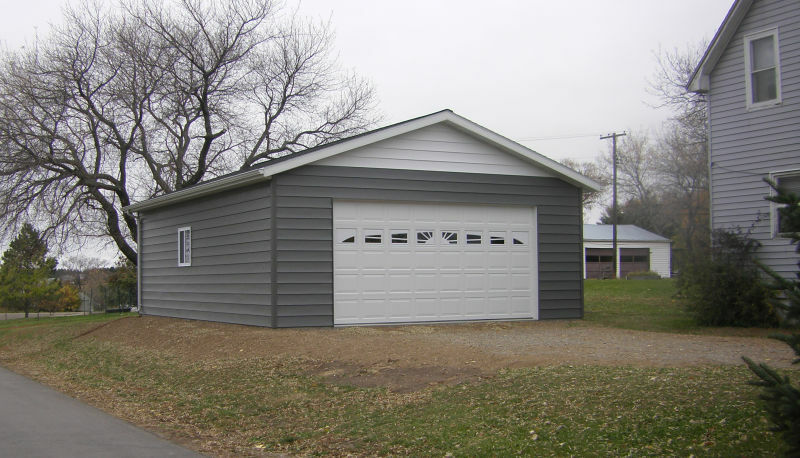 Linda Uhlich and Bob Becker had new garages built in the last few weeks. 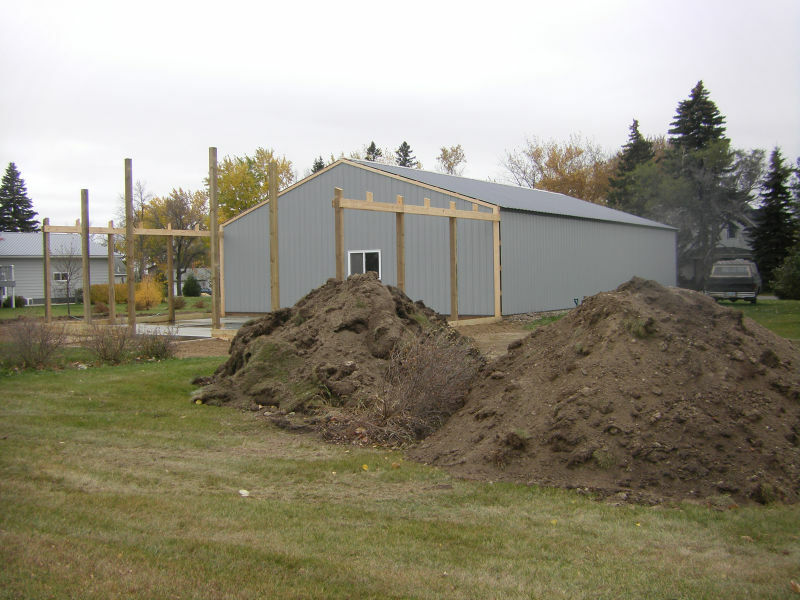 Brad and Becky Fletschock are adding on to the back of their garage. In the ditch north of Bonnie Kummer’s house 2 large culverts have been put in and covered with dirt. 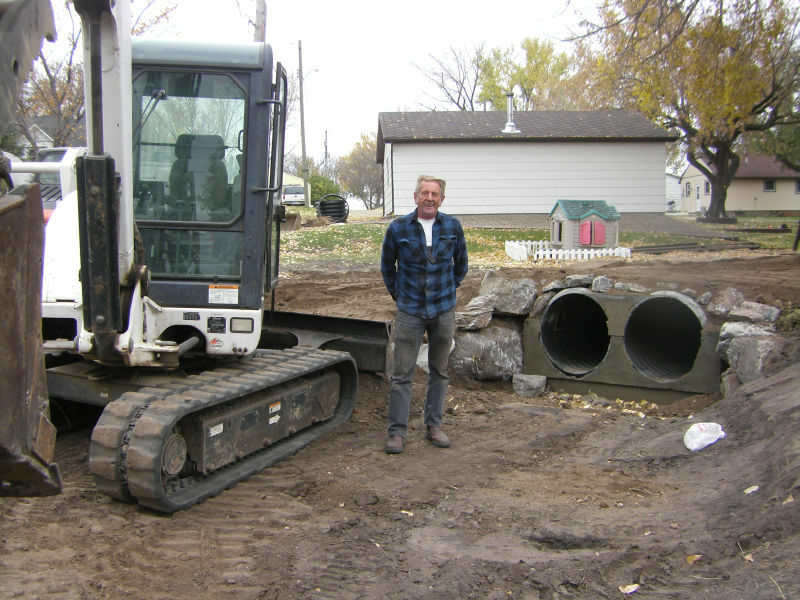 Yesterday Oakie Thompson was filling in rocks around the culverts, while Al Sherlock was smoothing out the dirt covering the culverts. This is a natural waterway, but in the past it could not handle the water and basements would flood. Bonnie said that years ago her husband Foster would sit in the ditch and pull the tall weeds that grew there. She is so happy to have this improvement after living next to the ditch for over 40 years. The pile of Agrilime was purchased by the Civic Club. 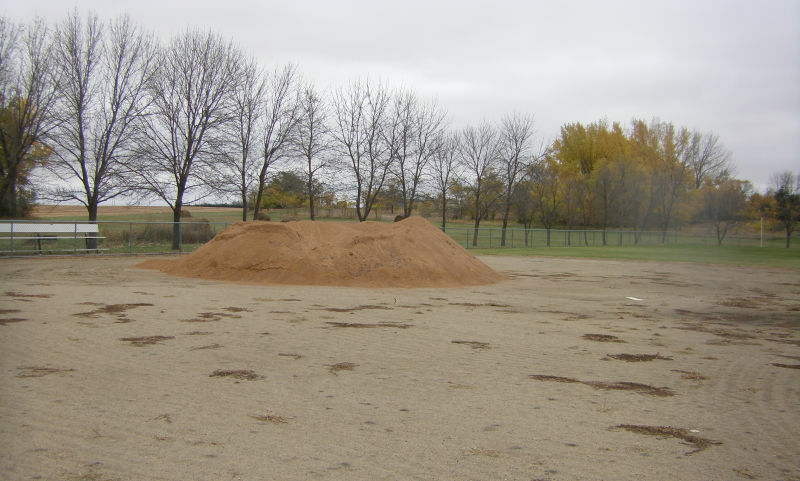 It will be mixed with black dirt for the softball infield and grass will be planted. 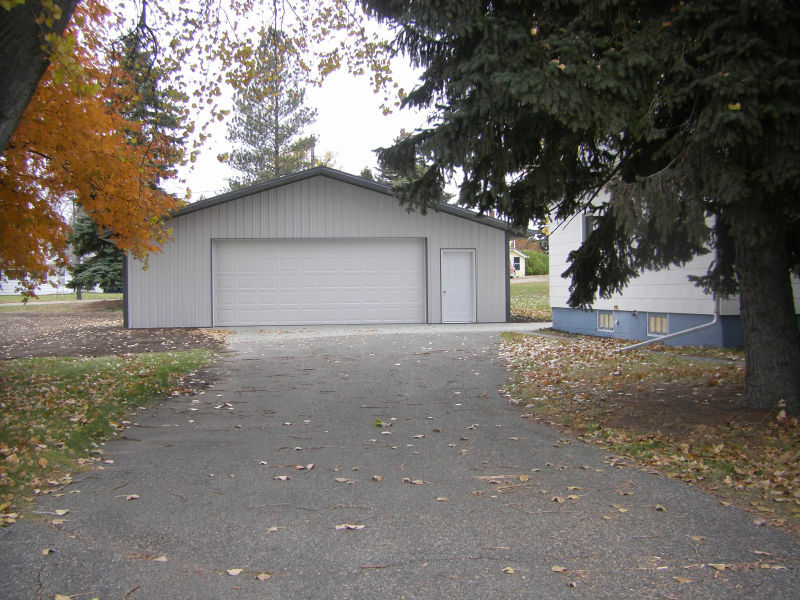 Dennis and Phyllis Zimmerman just had their house painted a few weeks ago and Marino Linardon had his garage painted. Dean Martin just built these steps on the west side of his house. This summer he built a deck on the east side of the house. 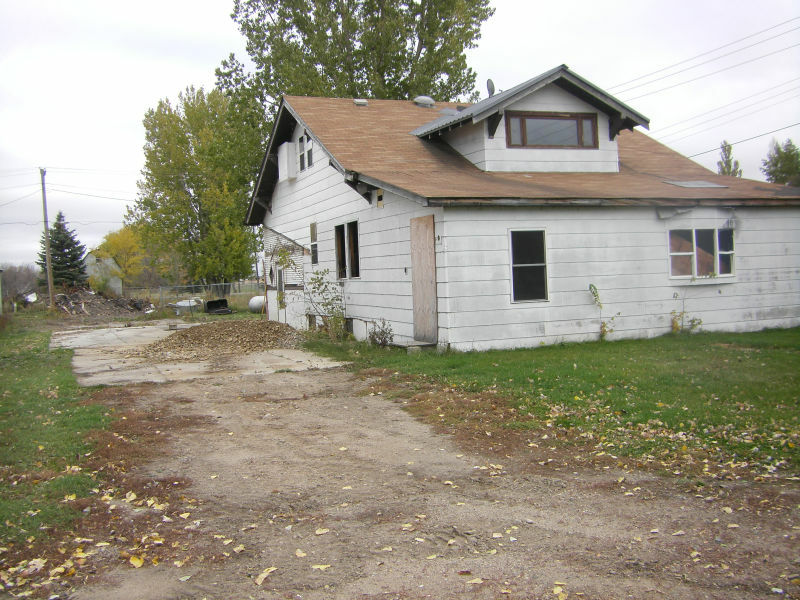 The old garage of the burned out Wagner house has been torn down and the rest of the house will be demolished. I’m sure there are other improvements that I don’t know about, but you can see that things are happening. Visitors that come to Anamoose remark what a clean neat community we have. Residents take pride in their yards.